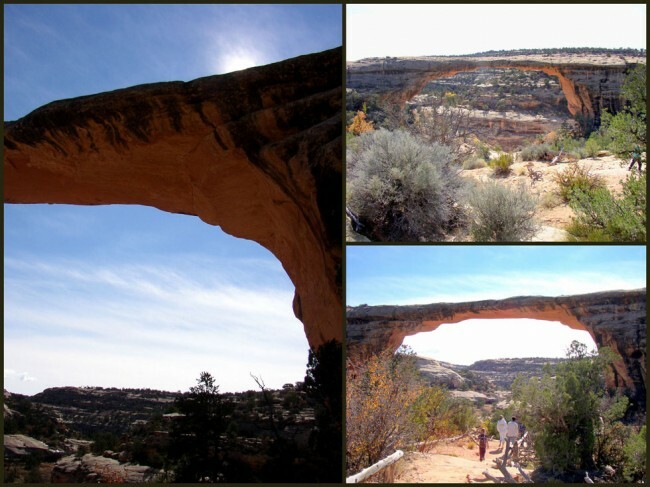 Imagine if you will, exploring the dry and harsh lands of southern Utah in the late 1800’s looking for gold, and instead finding an array of amazing natural bridges. So it was for Cass Hite. On that fateful day he found himself wandering up White Canyon from his base camp on the Colorado River looking for the “big strike”. 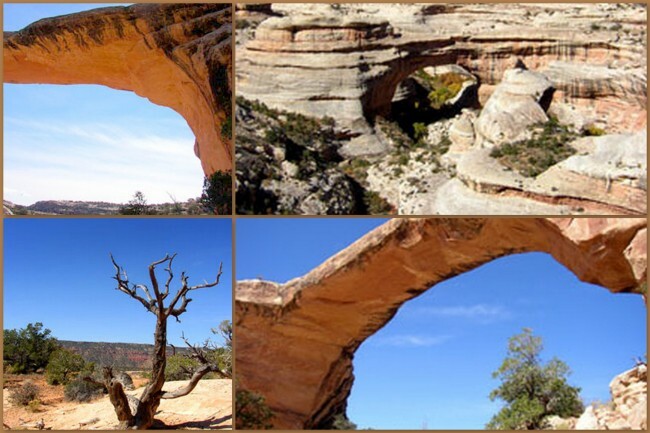 Instead of finding a wealth of gold, he found a priceless collection of three natural bridges. These vary from arches in that they are formed from moving water, not seepage or freezing and thawing. Sipapu is the largest with a height of 220 feet and a span of 268 feet. Next is Kachina, 204 wide and 210 feet tall. The small (if you can call it small) bridge (named Owachomo) measures 106 feet tall, with a width of 180 feet. At the monument you can visit all three by means of direct access trails, or if you’re more adventurous you can take longer loop hikes. Easiest access to the bridges is along the 9-mile, Bridge View Drive. As is always the case, take time to stop at the Visitor Center for an orientation to the site. If you decide to try any of the hikes make sure to carry plenty of water, remember, this is a desert environment. As you explore, think about the earliest visitors. The first known people were here from around 9,000 to 7,000 years ago. 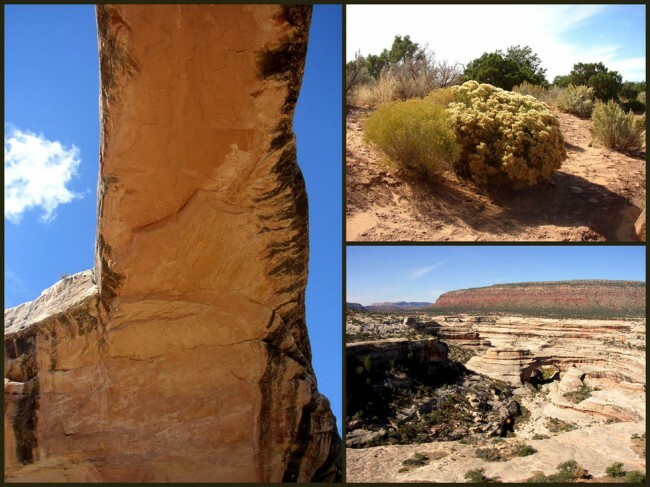 The ancestors of modern Puebloan people moved in around 1,300 years ago, followed by numerous other groups, including the Navajo in historic times. Take time to study the plant and animal life while you’re out and about. Pollen studies indicate that this now-arid environment was once home to a spruce-fir forest. Small pockets of Douglas Fir can still be found in the wetter, north-facing cliffs near the Sipapu Bridge. Natural Bridges is home to many animal species as well. With a little luck you could see; birds, bobcats, lizards, coyotes, bears, mule deer and mountain lion.